Amazing home with 3 bedrooms, 2.5 baths in the highly sought-after Long Shoals subdivision. Walking distance to the French Broad River, minutes to Biltmore Park, food, shopping, movie theater and more. Drive up to a well-maintained, private driveway. Large traditional style front and back porches and fenced in back yard. 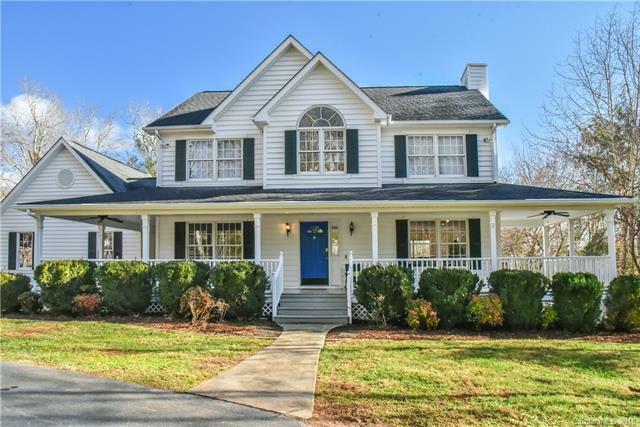 Recently refreshed with new paint, refinished beautiful original hardwood floors, granite counter tops, touch-less kitchen faucet and digital keypad. This home is classic, bright and warm. Includes built in bookcases and bump-out window seat in the loft. Large master w/Jacuzzi tub and standalone shower. Large bedrooms, living room, and dining room. The house includes a 2 car garage w/4 + parking spaces, great for entertaining. Large Unfinished attic above garage can covert to bedroom, office or storage. Furniture in the home is negotiable. Come see this beauty for yourself!! Seller is offer 1 year home warranty.